Hailed by The New York Times as a pianist of “a fiery sensibility and warm touch”, Anna Shelest is an international award-winning pianist who has thrilled the audiences throughout the world. Champion of esoteric repertoire, Anna is collaborating with the legendary conductor Neeme Järvi on a project of recording complete works for piano and orchestra by Anton Rubinstein. The first CD in the set featuring Rubinstein Concerto no. 4 and Caprice Russe recorded live at Lincoln Center's Rose Theater in New York City has been released in 2018 to great critical acclaim, praised by Gramophone Magazine for “…power and agility… effortless effect… nuanced and incisive all round.” The next release featuring Rubinstein Piano Concertos No. 3 & 5 with Estonian National Symphony Orchestra is set for release in early 2019. Her solo release in 2019 surveys the music by women composers from the last three centuries. 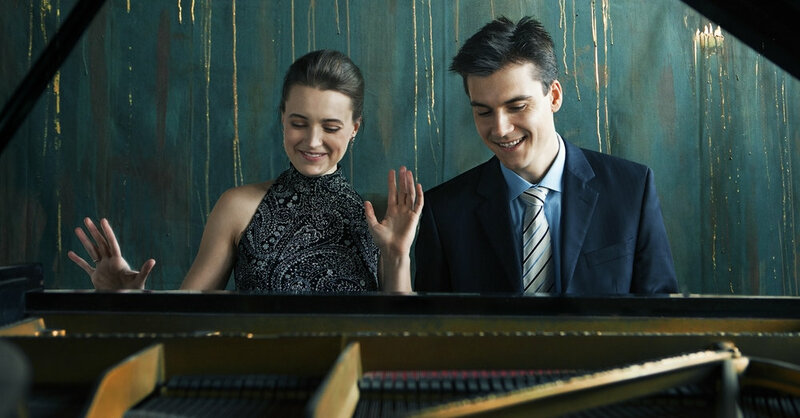 Together with her husband Dmitri Shelest, Anna recorded Ukrainian Rhapsody, which explores works for solo and four hands piano by the composers of their homeland. A number of radio stations across the US has chosen "Ukrainian Rhapsody" as their Album of the Week. Anna records exclusively with Sorel Classics. An “effective collaborator” (The New York Times), Anna made her orchestral debut at the age of twelve with the Kharkiv Symphony Orchestra, playing Rachmaninoff's Piano Concerto No. 1. Since then she has been a soloist with some of the world-class orchestras such as Montreal Symphony, Cincinnati Symphony under Paavo Järvi, St. Petersburg Philharmonic, and Estonian National Symphony, among others. As a soloist she has appeared at Alice Tully Hall and Stern Auditorium at Carnegie Hall in New York City, The Kennedy Center in Washington DC, Wiener Konzerthaus in Vienna, and Palacio de Bellas Artes in Mexico City. Born in Ukraine, Anna received her early music education at Kharkiv Special Music School. Since graduating The Juilliard School with a Masters Degree in the class of Jerome Lowenthal, Anna makes her home in New York City with her husband and two sons. Live at Rose Theater at Jazz at Lincoln Center in New York.